Analogue Pocket Fusion PP Plus is suitable to fit mild to profound hearing losses. The Fusion Series With Its Ergonomic Design Is Durable And Powerful . 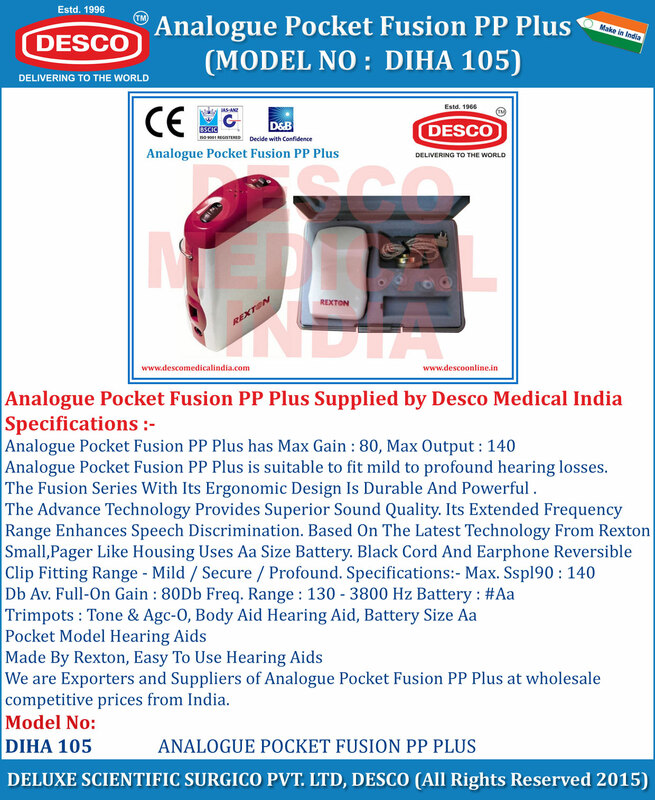 We are Exporters and Suppliers of Analogue Pocket Fusion PP Plus at wholesale competitive prices from India.